Camolin Potting Shed is a small retail nursery based in North Wexford, about 12 kilometres south of Gorey. We specialise in unusual herbaceous perennials and clematis. We have rapidly gained a reputation as being one of the foremost specialist nurseries in Ireland, winning many gold awards at Bloom. 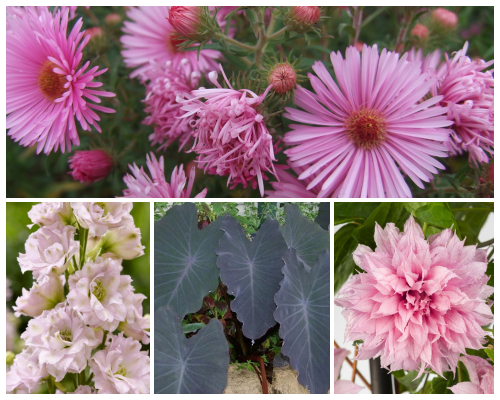 The quality of the plants that we offer has been widely acknowledged, both at home and abroad. All our plants are grown outside and so have to deal with the vagaries of the Wexford weather (do not believe all that hype about the Sunny South East). We pride ourselves on selling plants which are sturdy and well grown and which will quickly settle down and grow away in their new homes. We do not believe in selling plants which have been cossetted and grown in polytunnels for much of their life, only to sulk and often flop when they are placed outside and experience the first bit of harsh or real weather! We also have a reputation for being the first to introduce new varieties to Ireland and whilst we have endeavoured to include as much of our stock in this catalogue as possible there are always other items which we will have available but in too few a number to include here, so a visit to the nursery may well bring unexpected finds. IF YOU ARE ORDERING FROM OUTSIDE OF IRELAND YOU NEED TO CONTACT US REGARDING SHIPPPING COSTS.